Have you been foraging for a mask that’ll weather the seasons? 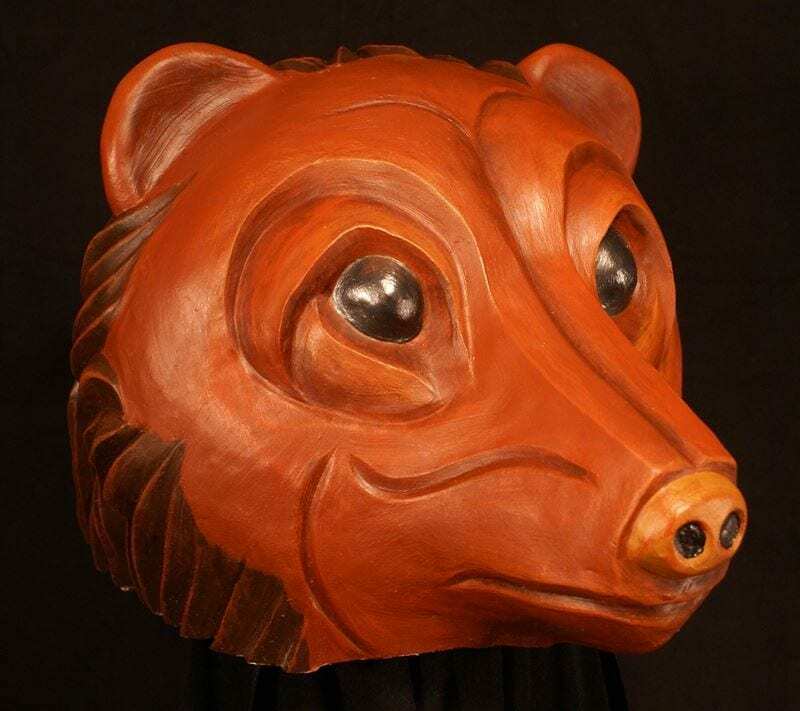 Look no further, for this bear headpiece made by mask maker Jonathan Becker. This bear a curious snout and twinkle in his eye. His fervor for exploration is often times misunderstood, however he doesn’t wish to harm, only to inspect the whiffs of greatness he notices along the way. Let his knack for stumbling into excitement remind you that whimsicality can bring about unsuspecting successes. Looking into that inquisitive face for too long and not placing an order for a custom made theater mask might prove to be un-bear-able. This mask is designed to sit on the top of the head like a top hat leaving the actors face fully exposed.